The heart of the ecosystem. The pump circulates the water from the skimmer putting it through the filter mats and sending it over to the bottom of BIOFALLS where it passes up through another set of filter mats and media. Water Garden Pumps are exclusively designed for use in a water garden skimmer. They range from 2000 gph up to 7,000 gph. The pump includes one 1½ inch threaded coupler and one 90 degree elbow to fit all applications (except for use with the AquascapePro 2" check valve dual-union assembly) & 20' power cord. They're easy to use, just set in a skimmer, connect the 1.5" (2" on the 7000) out flow pipe to the waterfall, and watch the pump do the work. AquaSurge Pumps can be used as a non-submersible, in-line pump with the proper fittings. Care must be taken to prevent solids in the water from damaging the impeller. FREE STANDARD SHIPPING ON ALL AQUASURGE PUMPS! 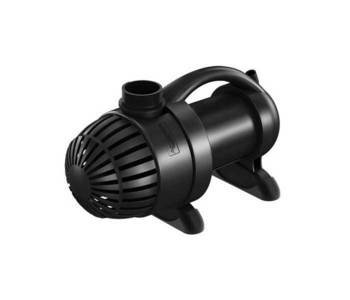 * NOTE *: If you are using the AquaSurge Pump (2000, 3000, 4000, or 5000 gph) to replace an exsisting AquascapePro Pump (1500, 3000, or 4500 gph) and you have an Aquascape 2" Dual-Union Check Valve, you will need one of two special adapters. Special Note for Aquascape Pro 1500 (SFA1500)and Aquascape Pro 4500(SFA4500) Owners! The Aquascape Pro 1500 is discontinued & not available any more. The AquaSurge 2000 and the 3000 are the official replacement pumps. Comparing the Pump Performance charts on this page will tell you which will be the best pump for you. The Aquascape Pro 1500 was $349 and the AquaSurge 2000 is $319.98 and the AquaSurge 3000 is $359.98. 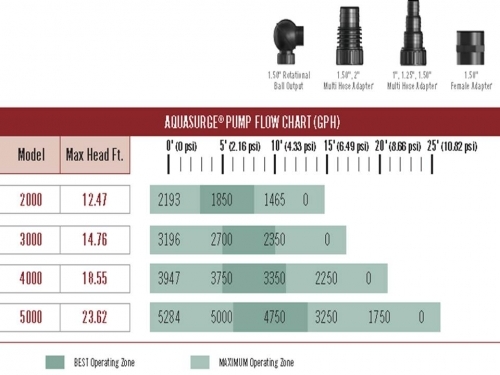 If you have any questions whether the pump is strong enough, please compare the AquaSurge and Aquascape Pro Pump Performance Charts. The "Head Height" is the VERTICAL height from the pump to the TOP of the BioFalls. To this, you add 1 foot of Head Height for every 10' of horizontal distance that the pipe travels from the pump to the BioFalls. Find and interpolate the Head Height on each chart to determine the amount of water flow provided by each pump. The Aquascape Pro 1500 took 205 watts vs the AquaSurge2000 which takes 250 watts (it is capable of pumping water higher (22') than the Aquascape Pro 1500) and the AquaSurge 3000 which only uses 180 watts. You may want to take this opportunity to step up the water flow of your pond with the AquaSurge 3000 which uses less power than your old Aquascape Pro 1500 and at 10' of Head Height will generate 50% more water flow. If you are happy with your current flow, then please select the pump that most closely approximates that flow. The AquaSurge 5000 only takes 250 watts compared to 625 watts for the Aquascape Pro 4500 and is about $160 less to buy. At 5' of Head Height, there is very little difference between the water flow of the Aquascape Pro 4500 and the AquaSurge 5000. As the Head Height increases, there is a larger water flow difference. The decision for you to make is whether or not the significasnt energy and purchase price savings will be offset by a reduction in water flow. 2. Energy Efficiency: AquaSurge 3000 gph pump takes only 165 Watts vs. 280 watts for the Aquascape Pro 3000. The AquaSurge 5000 gph pump takes 360 Watts vs 625 Watts for the Aquascape Pro 4500. 3. Warranty: The AquaSurge is one of the few pumps in the industry to have a THREE YEAR WARRANTY. The Aquascape Pro line has a 2 year warranty. 4. More Bang for the Buck: The Aquasurge 5000 gets out 5000 gph at 5' vs only 4500 gph for the Aquascape Pro 4500. 5. Winter Maintenance: The old Aquascape Pro pumps needed to stay submerged in a bucket of water if you took the pump out in the winter in order to keep the seals wet. Since the Aquasurge pumps do not have seals or oil, no need to keep in water over the winter. Submersible waterfall and filter pump made for use in skimmer style filter systems (available in flow rates from 2000 to 5000 GPH) AquaSurge® second-generation asynchronous skimmer and waterfall and filter pumps accomplish what most other pumps only aspire to achieve. The combination of energy-efficient performance, and flow and ease of maintenance, make this pump the ideal choice for discriminating pond owners. Oh, and then they reduced the prices by up to 17.5%. Impressive! For a copy of the PUMP TROUBLESHOOTING/WARRANTY GUIDELINES, "CLICK HERE<, /font>". Let’s take a quick look at troubleshooting an Aquasurge submersible pump. This is a horizontal pump with a black plastic body and a screened intake. They're affordable, energy efficient, come with a 3-year warranty, and are used in both contractor and DIY installations. The way the pump is built lends itself to troubleshooting. We have had success restoring proper pump performance with any of the tips shown below. No special tools or advanced knowledge is required. Quite often, when a more substantial problem isn't present, these simple tips provide an easy solution to the client's problem. 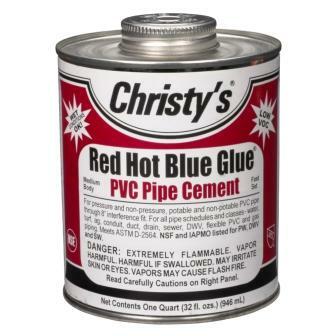 Possible Solution: Disconnect the check valve at the threaded collar and give it a shake. If you hear a rattling noise your check valve is broken. Replacing it with a new check valve will restore proper pump performance. Possible Solution: Check the screened (intake) side of the pump for debris such as algae, sticks, and mulch. Remove all debris. From Anonymous of Bethany, Connecticut on 9/3/2014 . From Anonymous of Moorprpark, California on 6/14/2013 .